Amsterdam, Vienna, Copenhagen, Milan, Berlin, Belgrade, Goetenborg, Zurich, Manchester, London, Munich, Oslo, Oysseldorf, Stavanger, Stockholm, Stutgard, Τrontheim, Frankfurt. Although these flights are geared mostly towards the package tourist, a certain amount of seats are open to independent travellers. Enquire about flights with your local travel agent. Bus connections of "Hellenic Travel Network" leave the center of Athens: str. 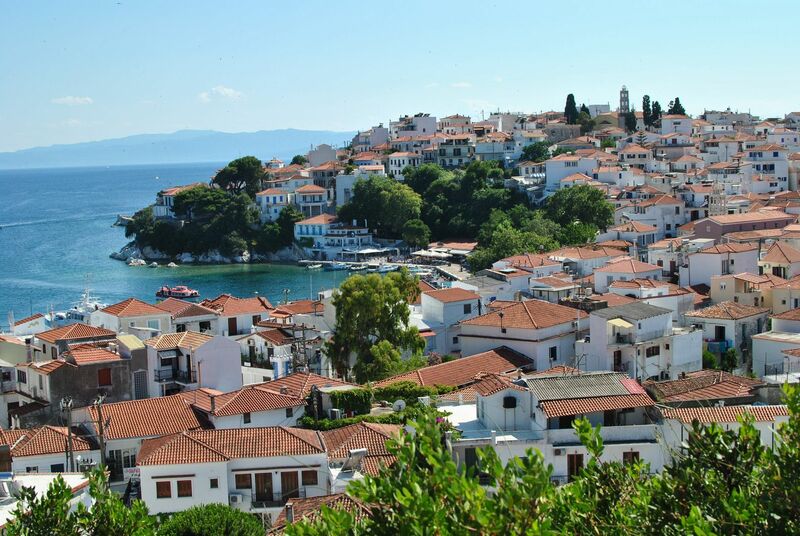 Athinas 12, Monastiraki (oposite of Metro station) and take passengers to Agios Konstantinos from where hydrofoils and boats leave regularly for the island of Skiathos. The journey time for the bus and hydrofoil is approximately 4 hours in total. 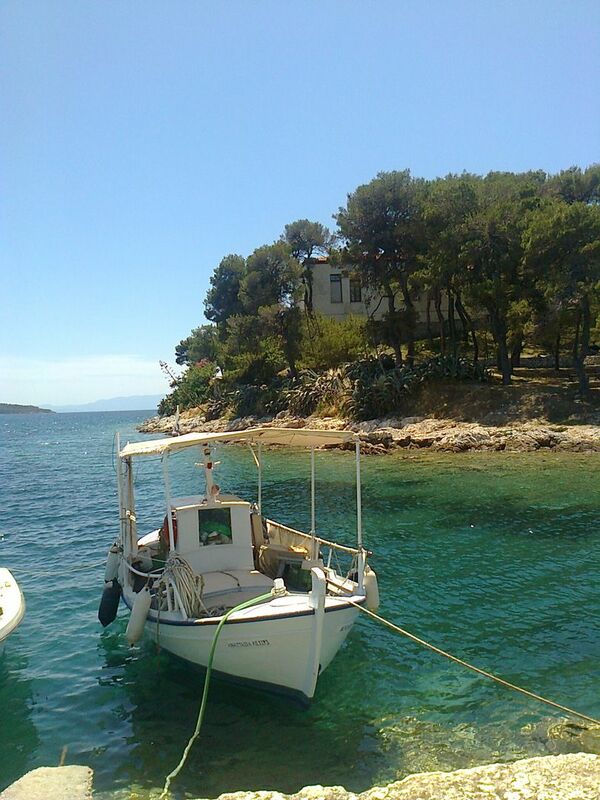 The duration for a journey with one’s own car/bus and the ferry (hydrofoils do not take cars, thus resulting in a longer journey time) is approximately 6 hours. 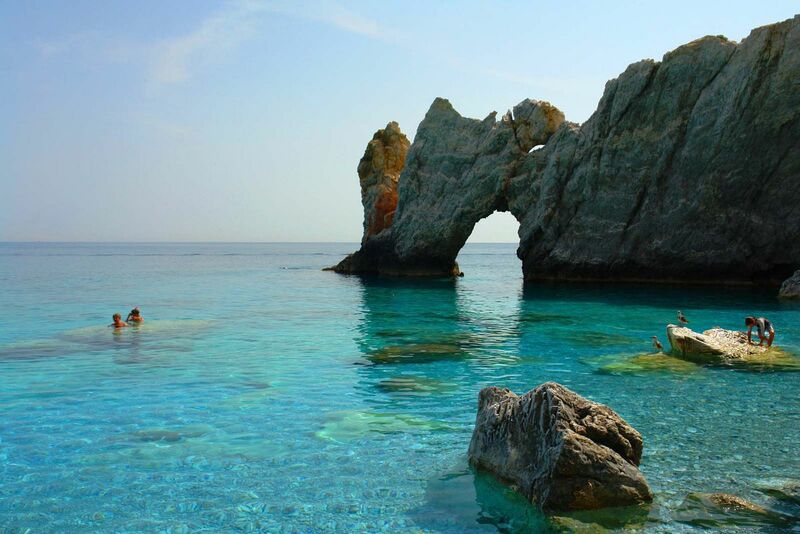 You can reserve your seat on the bus, through the travel agency "Hellenic Travel Network", str. Athinas 12, Monastiraki (metro station). 0030210 – 3832545, 0030210 – 3843220. 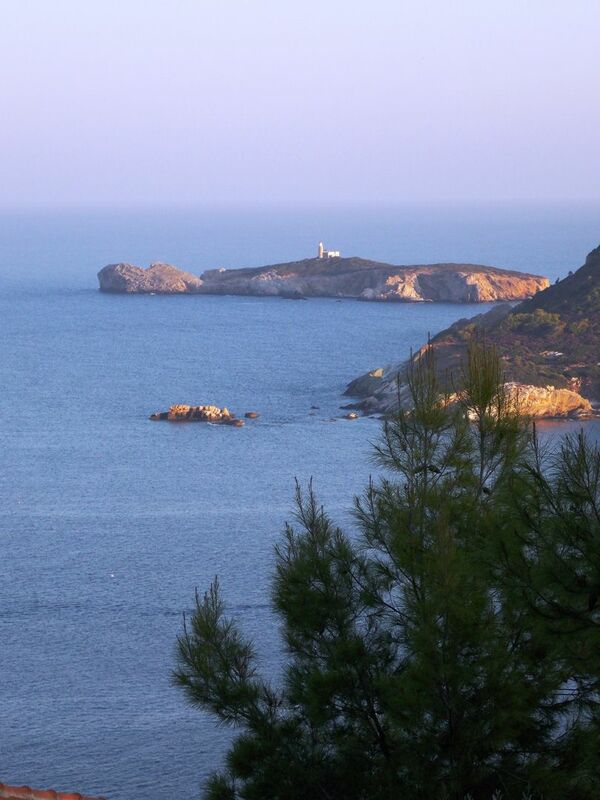 Bus from Athens until Agios Konstantinos port and then with “Aegean flying dolphin”. You can reserve your seat at the bus and connection with the flying dolphin, through the travel agency Jetatours, 54 Nikis & Filellinon str. Syntagma (in Athens center). 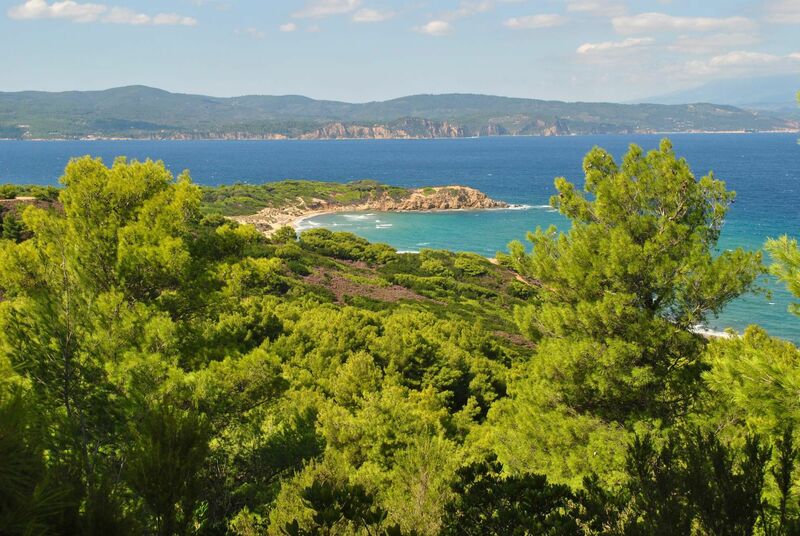 The flight time is 35 minutes and it is strongly recommended that reservations are made in advance. 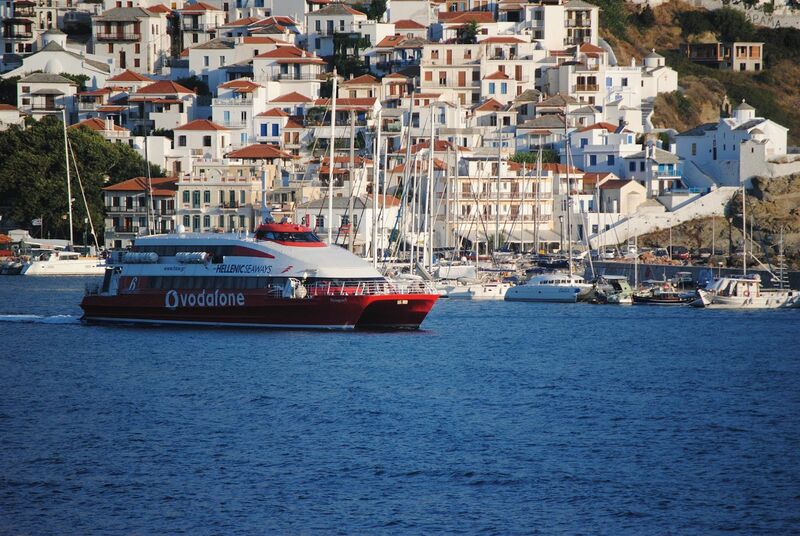 From the port of Agios Konstantinos the hydrofoils and ferry boats are leaving regularly for the island of Skiathos. 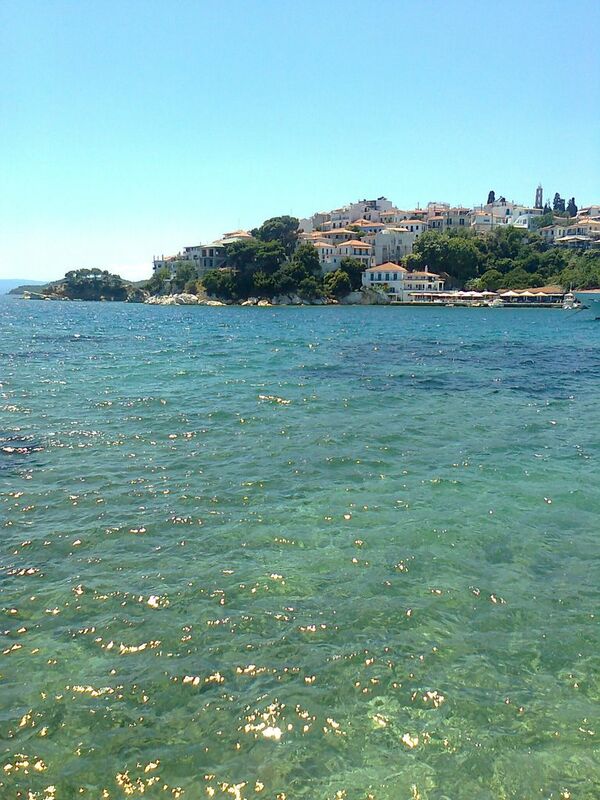 You can reserve your seat through the travel agency "Hellenic travel Network"
During the summer months, there are ferry and hydrofoil connections between Skiathos and the ports of Volos, Agios Konstantinos, Kimi and Thessaloniki. 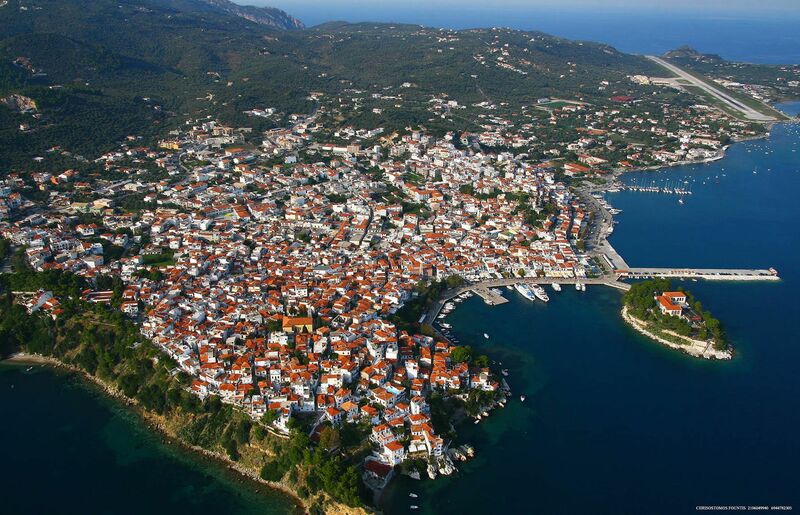 Volos is the nearest port to Skiathos. Travel time with a hydrofoil takes an hour and a half and with a ferry, the travel time is two and a half hours. 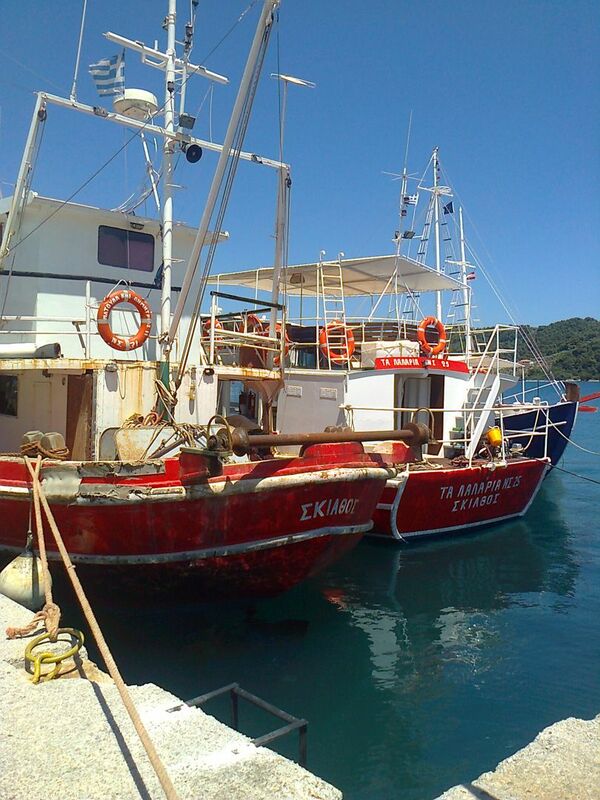 Αlso there is transportation of hydroplane from Volos harbour every day. For timetable information and reservations, please contact the following agencies in Volos, on 0030 24210 23415 or 0030 24210 35846. For timetable information and reservations, please contact the following agencies in Volos: Tel: 0030 24210 23415, 0030 24210 35846. 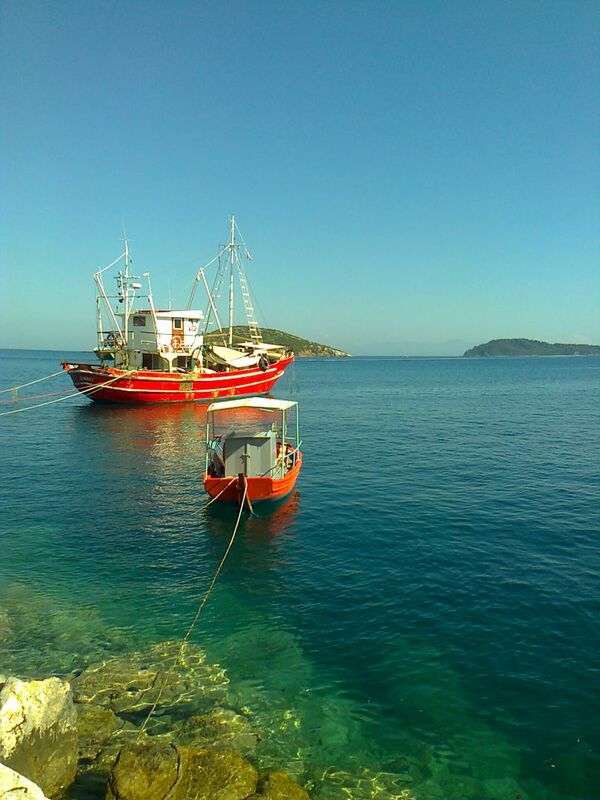 There is a Ferry boat or Catamaran connection during the summer months. Travel time is three and a half hours.